Imagine a random Tuesday morning spent engaging in the following activities: deploying a Van Dorn bottle to collect water samples to test their salinity, temperature, and density; releasing a 16 foot trawl net into the San Francisco bay to catch fish, which are then observed and identified with a dichotomous key; studying and cataloging phytoplankton and zooplankton collected from the Bay using a microscope and digital display; and utilizing a Peterson Grab to collect a bottom sediment sample and gather invertebrates from the mud for closer observation. Let’s not forget smearing mud all over your face as initiation into the Mud Club. Sound like a unique day? 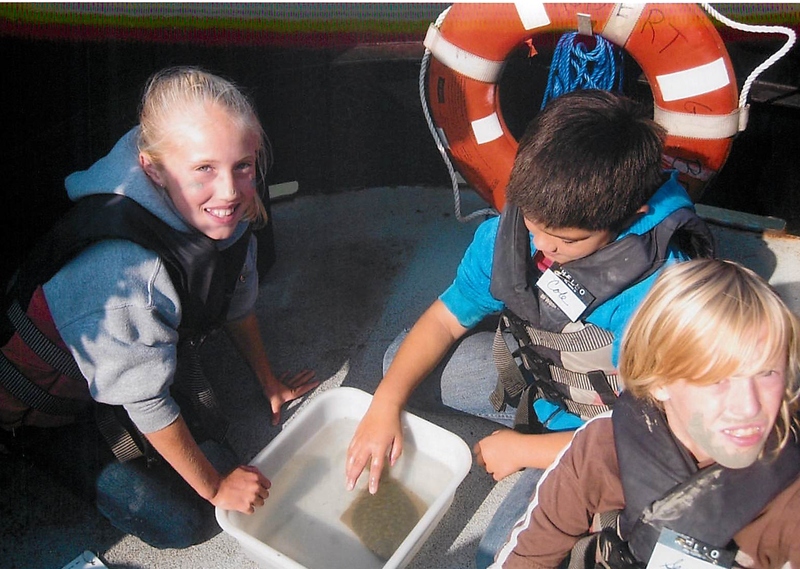 This was the experience of 60 5th graders from Bollinger Canyon Elementary School, who recently went on a field trip to the Marine Science Institute’s Discovery Voyage. 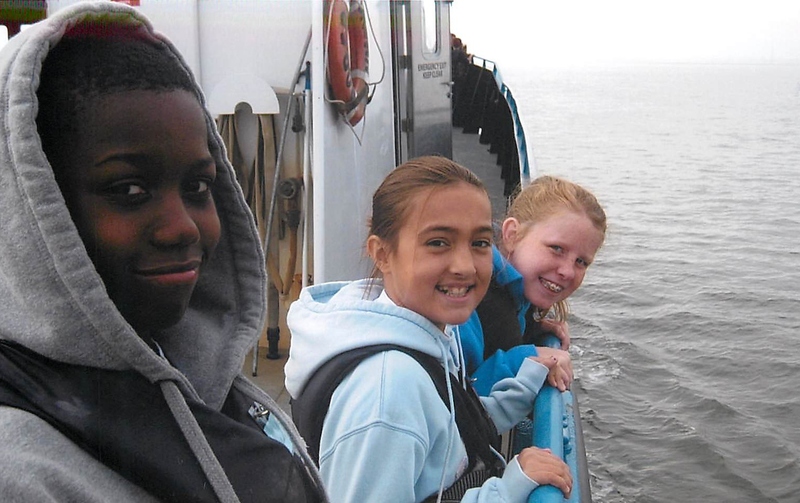 Step ping into the shoes of scientists, the students boarded a 90-foot research vessel and departed on a four-hour expedition of the San Francisco Estuary. Not only did they gain important scientific skills, but they also were able to discover the local ecosystem and consider their relationship to it. Such a field trip was made possible through the Science Resource Grant Program, one of Philanthropic Venture Foundation’s immediate response programs. The Science Resource Grant Program, which is funded by the Joseph & Vera Long Foundation, is open to any public school teacher, grades K through 12, in Alameda and Contra Costa counties. Two grants of up to $500 can be awarded to each school to be used to enhance classroom science programs relating to conservation; requests are approved and funded within 48 hours. The Science Resource Grant Program supports efforts by educators to establish a new generation that is environmentally conscious and science savvy. Requests vary widely for this program. One class traveled to a local farm, where students studied agriculture and the roles of farmers. Another class visited the San Jose Tech Museum’s Conservation Science Lab, while a kindergarten class visited the San Francisco Zoo to study animal habitats. In addition to field trips, classes have utilized these funds to purchase supplies to be used both within their classroom as well as throughout the school. One middle school class built a rooftop garden, another class implemented a recycling and compost system for their school, while another purchased microscopes to use in a conservation project aimed at restoring the local creek. Are you a teacher in an Alameda or Contra Costa County public school? Funding is still available, so write up a quick one-page proposal of your idea on letterhead and fax it our way! Please visit http://www.venturesfoundation.org/programs/teacher-grants/science-resource-grants-program for more information on the program and how to apply.